As a spiritual and vibrational being you may accidentally absorb negativity and lower energies from others. This is especially true if you visit a location or gathering where lower vibrational energies are present, or for sensitive and empathic individuals who often take on energy from others. As you increase your receptivity to the spiritual realms your sensitivity to negativity will likely increase as well. 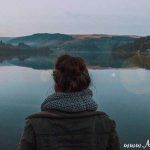 Due to this, shielding is a valuable spiritual tool for all lightworkers, spiritual seekers, and energetically sensitive beings. 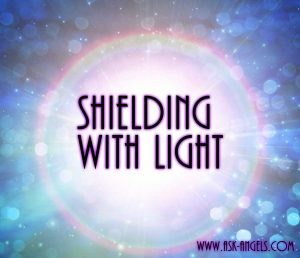 Shielding basically means visualizing, intending and feeling that you are completely surrounded in an orb, blanket, or cocoon of light from the Divine. Light shields can be placed around your home, office, vehicles, possessions, and around your loved ones as well. 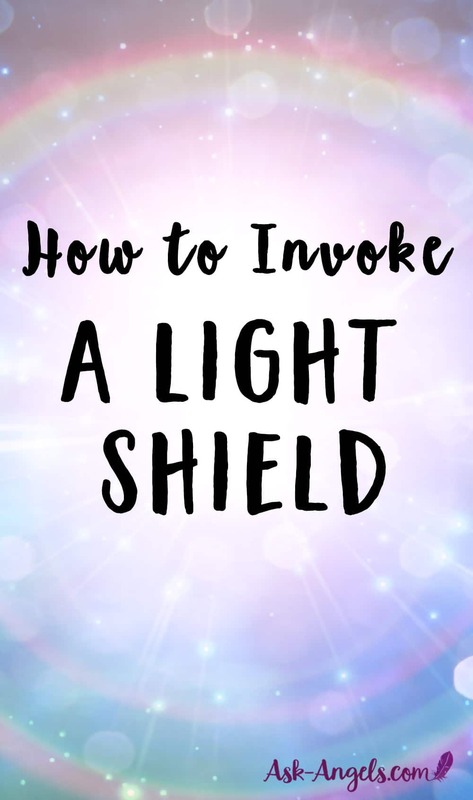 Although very powerful and effective, shields are not permanent, and so you'll need to re-invoke a light shield about every 12 hours, or sometimes more often if you're in a really dense energetic place, or if you find yourself stressed out and emotional, cleanse your energy with light and reapply your light shield! A great way to remember to shield your energy is to make it a part of your morning and evening routine. Just as you likely brush your teeth or prepare a meal around a certain time each day, cleanse and shield your energy with light on a daily basis as well! When you call upon your angels and Divine light to shield you really can't do it incorrectly. Your intention is hugely powerful, and so with the intention to be shielded with light it is done. The light is pure Divine energy. It's a loving, high vibrational, conscious energy which will protect and uplift you simultaneously. In it's very nature it cannot be used by so called dark forces, and so making yourself familiar with the light and shielding yourself naturally repels any of these lower vibrational beings. White light is somewhat of the standard for energetic shields as it's incredibly powerful and effective. Calling upon a Divine white light shield automatically invokes the presence of your angels around you to keep you safe and protected and to guard and uplift your energy. Light shields can however take on many colors and shapes, each of which have a slightly different purpose. If you're not sure what color of shield will most serve, simply ask for the light shield which will most serve according to Divine will for the highest and greatest good! 🙂 Simple. Here is a look at some of the colors of light shields you may invoke and a quick glance into what the different colors mean. A pink light shield also protects against negativity in all forms. Nothing can penetrate a pink light shield except for loving energies of love, light, and compassion. When you surround yourself with pink light you're effectively sending loving into towards yourself, and all whom you encounter. A green light shield is an effective physical healing tool for those working to physically healing themselves, or when taking care of others who are ill. Within the green shield of light Divine healing energy cleanses, heals and uplifts the physical body in the way which will most serve. A purple light shield carries the energy of the violet flame of transmutation. Purple light will protect against negativity, align you will Divine guidance, and elevate your spiritual vibration simultaneously. With a purple light shield around you, negativity in your midst will be transmuted into the light, and lower vibrational energies, entities, and negativity in all forms including psychic attack will be repelled, and if they come too close dissolved into the light of the Divine. A blue light shield will soothe and calm your energy if you're feeling stressed or overwhelmed by the energies or people surrounding you. It can also help you to collect your thoughts and clearly communicate your truth. Since blue is calming and soothing, it's a great shield to work with during sleep, of if you're feeling anxious, overly emotional, or heated. A rainbow light shield will surround you in all the colors of Divine light. This helps to boost your healing and spiritual abilities while keeping your energy safe, loving, and protected. A silver shield of light is a wonderful shield to wear when you're going to be in a busy public place or around lots of people. Inside the silver light you'll feel safe, uplifted and protected while all negativity surrounding you is effortlessly reflected away or neutralized. Silver light will also help to boost your intuition, and heal imbalances or instabilities within your energy. A gold light shield works well to boost your confidence, creativity, and spiritual inspiration. Gold carries an incredibly high vibration, and this color of light makes a wonderful outer shell to be used in conjunction with any of the other light shield colors. The great thing about shielding with light is you don't have to just choose one color! Imagine a multi-layered shield of light around you, or as mentioned above simply ask the Divine and angels to surround you with the shield of light which will most serve you now. If you'd like to learn more about shielding and additional psychic protection techniques, you can access our Psychic Protection Angel Course here! Thank you for writing about this beautiful information, it helped me to send my friends a important tool for life! Feel free to send newsletters! Thank youuuuu!! I invoke the light automaticly since 8 years and astral entities take this light from my body.What is the reason?This situation is very bad.My life is like a movie paranormal activity. Please arch angle protect me from harm evil jealous and danger. Put me on the correct path and lead me to joy peace wealth health and peace every where. I found this article interesting, I’ve been invoking the light shield as I’m still ascending higher and higher. Really makes a difference! Thank you so much. Thank you Melanie, as always you are so spot on.